Following is a selected project highlight from the Share with Wildlife mission to assist all New Mexico wildlife in need, no matter what species. The Western River Cooter is species of turtle that is of particular interest to the New Mexico Department of Game and Fish. Very little is known about where it is found, what kind of habitat it needs at different life stages, and how it is doing in New Mexico. It is currently undergoing review by US Fish and Wildlife Service to determine whether it should be listed under the Endangered Species Act. Thus, time is of the essence in terms of answering some fundamental questions about this species and its status. 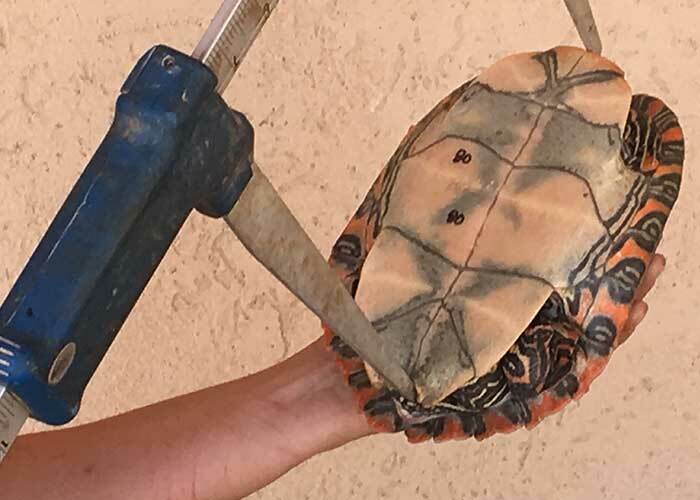 Dr. Ivana Mali and students at Eastern New Mexico University are using funds from the Share with Wildlife program, and other sources, to help fill some of the information gaps about the cooter. 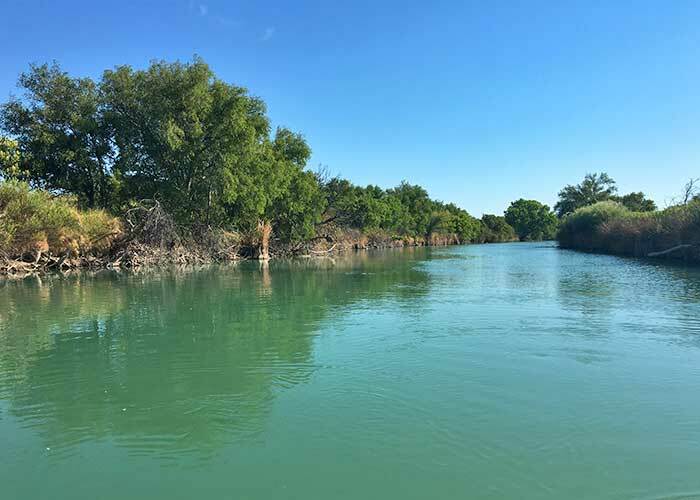 In 2018, Dr. Mali conducted surveys at two sites on the Black River in southeastern New Mexico that she and her team surveyed in previous years. Based on Dr. Mali’s data from the past two years, this turtle is relatively abundant at both the survey areas and there are many hatchlings, which is potentially good news in terms of the sustainability of the population on the Black River. However, multiple years of data are needed to know how well the population is really doing and how many of these hatchlings, and older turtles, survive one or more years. 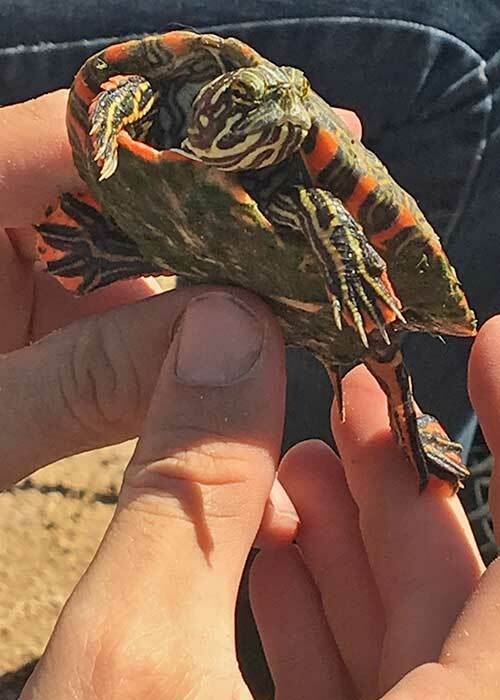 Very exciting news from the 2018 turtle survey season is that Dr. Mali was able to confirm a sighting of cooters in Chaves County. The fact that more than one live cooter was observed this year in Chaves County, relatively far north of Brantley Dam, its previously identified northernmost extent, is good news for this species. 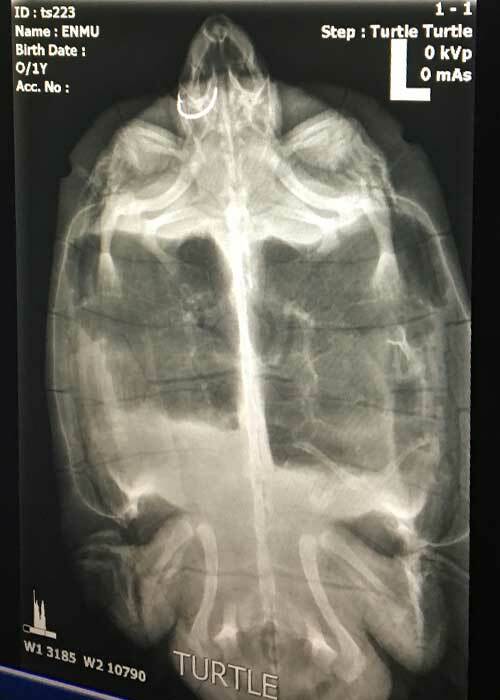 Also new this year, Dr. Mali and her team collaborated with the Desert Willow Wildlife Rehabilitation Center in Carlsbad, New Mexico to x-ray larger turtles to assess reproductive condition of females and determine whether individuals of either gender have ingested fish hooks. Learn more about the non-profit Share with Wildlife program of the New Mexico Department of Game and Fish, supported exclusively by donations.